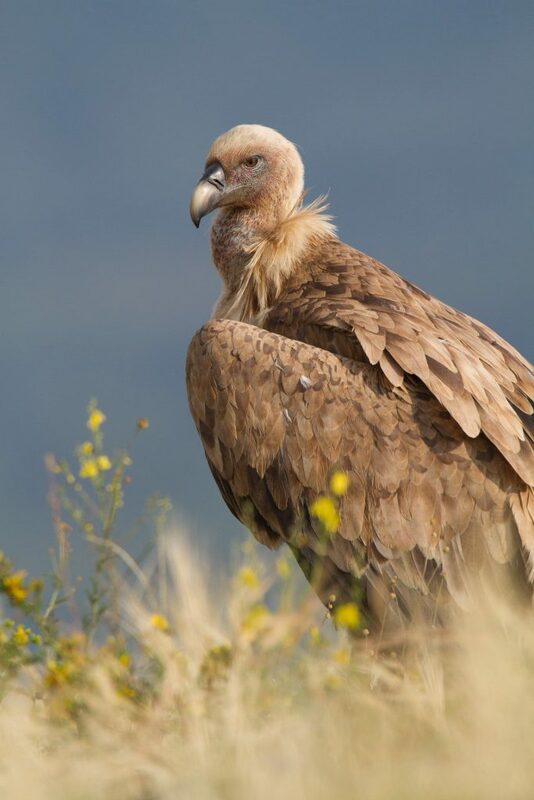 The project "Conservation of Endangered Species of Birds by Securing Hazardous Air Pipes in Natura 2000 Protected Areas in Western Bulgaria" has a budget of 2.65 million € and is co-financed by the Life program of the European Union. Its implementation is a natural extension of the long-term policy of CEZ Distribution Bulgaria for the preservation of biodiversity - protecting the life of the birds and ensuring the possibility of safe breeding. The duration of the project is 63 months, beginning: 01.10.2017, ending: 31.12.2022. The project is shortly named LIFE BIRDS ON POWER LINES and identification number LIFE16 / NAT / BG / 000612. Some of the most adversely affected bird species have been identified as target species of the current project; these are: the Great Bittern (Botaurus stellaris), the White Stork (Ciconia ciconia), the Lesser White-fronted Goose (Anser erythropus), the Red-breasted Goose (Branta ruficollis), the White-tailed Eagle (Haliaeetus albicilla), the Egyptian Vulture (Neophron percnopterus), the Eurasian Griffon Vulture (Gyps fulvus), the Cinereous (Black) Vulture (Aegypius monachus), the Short-toed Snake-eagle (Circaetus gallicus), the Long-legged Buzzard (Buteo rufinus), the Lesser Spotted Eagle (Aquila pomarina), the Greater Spotted Eagle (Aquila clanga), the Eastern Imperial Eagle (Aquila heliaca), the Golden Eagle (Aquila chrysaetos), the Red-footed Falcon (Falco vespertinus), the Saker Falcon (Falco cherrug), and the European Roller (Coracias garrulus).